LeBron James is seen in this undated file photo. 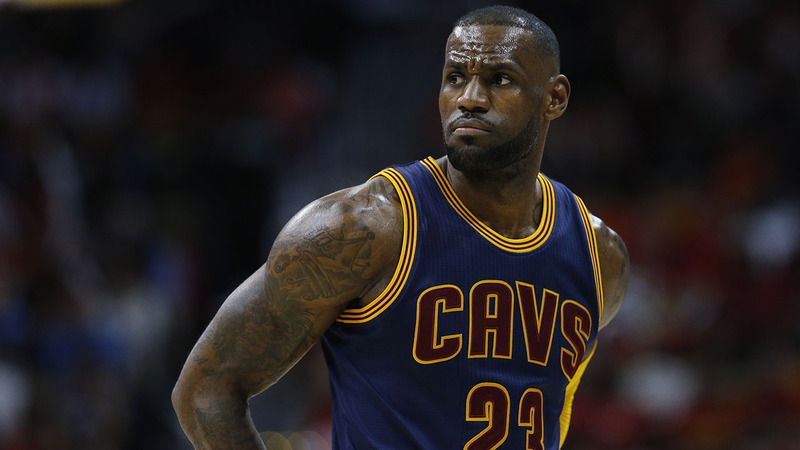 LOS ANGELES -- Police are investigating after someone spray painted a racial slur on the front gate of LeBron James' home in Los Angeles on the eve of the NBA Finals. An unidentified person spray painted the N-word on the front gate of James' home in the Brentwood neighborhood Wednesday morning, said Capt. Patricia Sandoval, a spokeswoman for the Los Angeles Police Department. James wasn't at the home at the time, but the property manager told officers that they believe the incident was captured on surveillance video, Sandoval said. Police are investigating it as an act of vandalism and possible hate crime. Someone painted over the slur before officers arrived to investigate, Sandoval said. James bought the house in 2015 for over $20 million. The 9,440-square-foot home is not James' primary residence. He lives in Bath, Ohio. In 2015, James and his production company signed a developmental deal with Warner Bros. worth $15 million, an agreement that has him spending more time in Southern California. James spent several weeks in Los Angeles last summer working with his production company. James' agent, Rich Paul, declined to comment on the vandalism. James and the Cleveland Cavaliers face the Golden State Warriors in the NBA Finals beginning Thursday night, with Game 1 in Oakland.